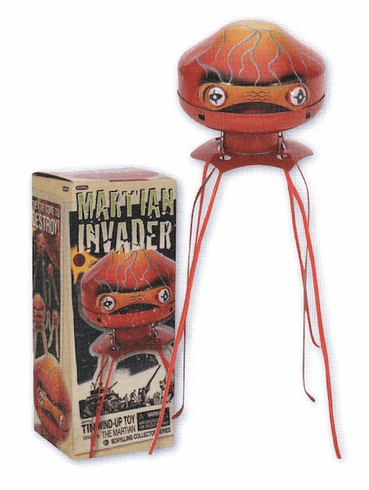 The martian is one of the most unusual toys we have ever seen. Inspired by 1950s Japanese toys. It's incredible. It walks forward moving it's middle two feet. Measures 9" tall.